Cold Spring, Minn. – (May 9, 2018) – Coldspring® – the leading quarrier and fabricator of natural stone in North America – announces its Milbank operations in Milbank, South Dakota, have received Gold-level ANSI/NSC 373 Sustainable Production of Natural Dimension Stone certification. Developed in accordance with American National Standards Institute (ANSI) guidelines, the rigorous and voluntary ANSI/NSC 373 standard establishes criteria to determine the degree to which natural dimension stone is extracted and manufactured sustainably. The ANSI/NSC 373 standard showcases our existing best practices in numerous areas of extraction and processing of natural stone, such as: water usage and recycling, custody and transportation of the stone, site management, land reclamation, corporate governance, energy optimization, management of excess process materials and solid waste, safer chemical and materials management, worker health and safety and optional innovation credits. Certification is based on point totals in each category to achieve a bronze, silver, gold or platinum level certification. In 2016, Coldspring’s corporate headquarters and primary manufacturing operations in Cold Spring, Minn., received Gold certification; the Charcoal (St. Cloud, Minn.), Mesabi (Babbitt, Minn.), and Rockville (Rockville, Minn.) quarries received Platinum certification. Since 1898, Coldspring has served the architectural, memorial, residential and industrial markets with all types of natural stone, bronze, and industrial and diamond-tooling products. With headquarters, a primary manufacturing facility and bronze foundry in Cold Spring, Minn., the company has 900 employees at operations across the country, including 30 quarries and additional fabrication facilities. 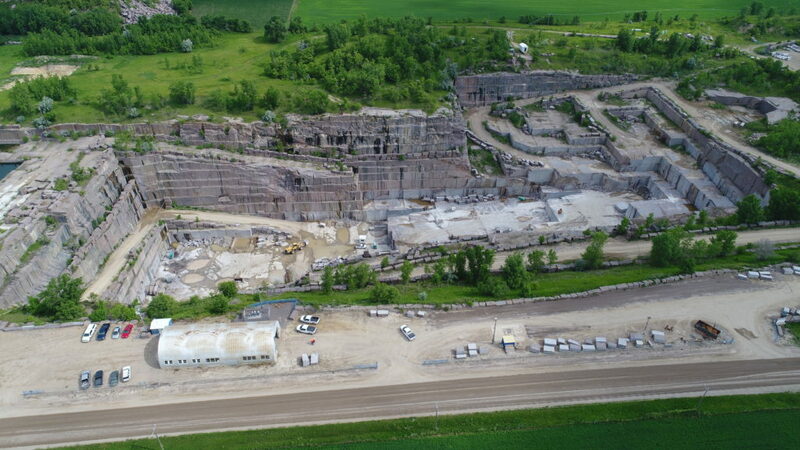 In 2016, the company’s headquarters, primary manufacturing operations and three Minnesota-based quarries received ANSI/NSC 373 Sustainable Production of Natural Dimension Stone certification. Coldspring’s in-house services and support such as drafting, design, BIM, and project and construction management contribute to creating unique customer solutions. To learn more about Coldspring, visit www.coldspringusa.com.